Age: 34, Rank: 68, Hometown: Plaquemine, La. 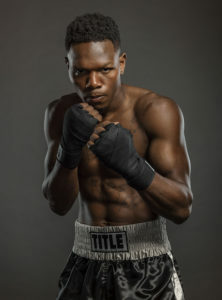 Incarcerated at 15 years old and spent 14 years behind bars for robbery and attempted murder, Eric “Babyface Assassin” Walker learned to box while in prison. He is now fighting for a second chance at life, living proof that it’s never too late to live out your dreams.